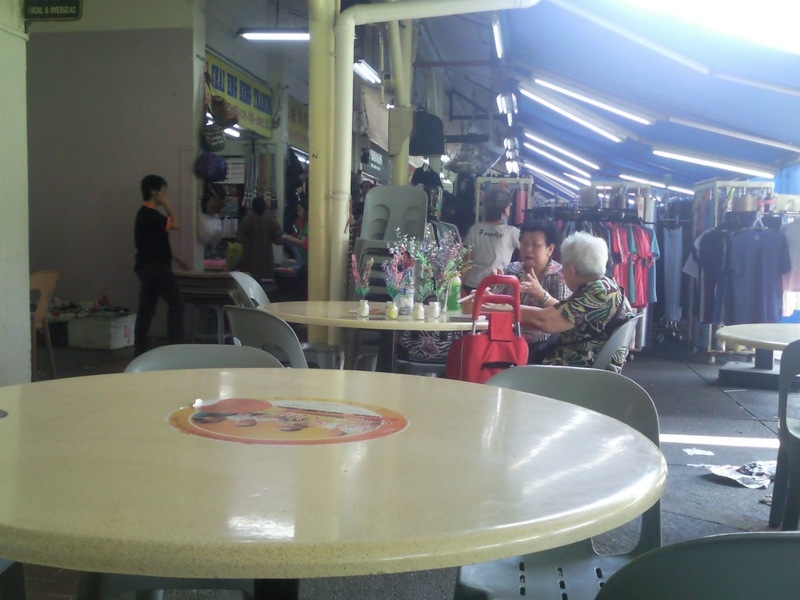 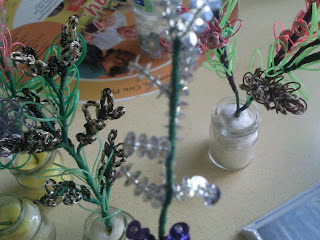 You can find her handicrafts at Jurong West Blk 496 Coffeshop - grey chairs (opposite Mobile Esso Petrol Station). 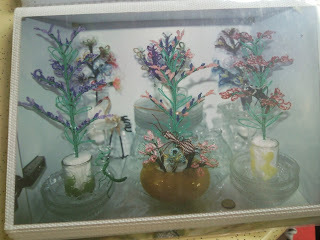 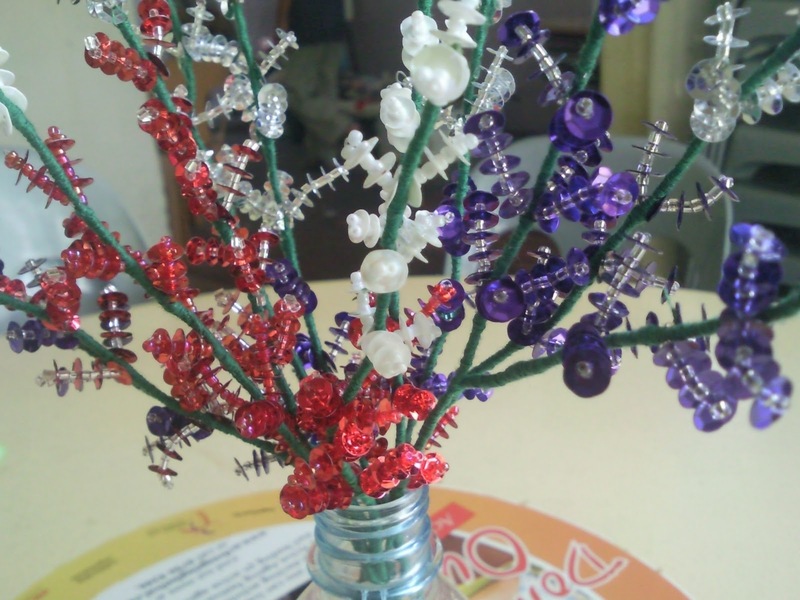 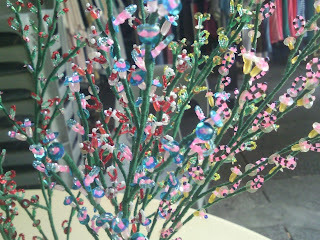 The artist is Mdm Koh and she is very good at making such beautiful flowers. 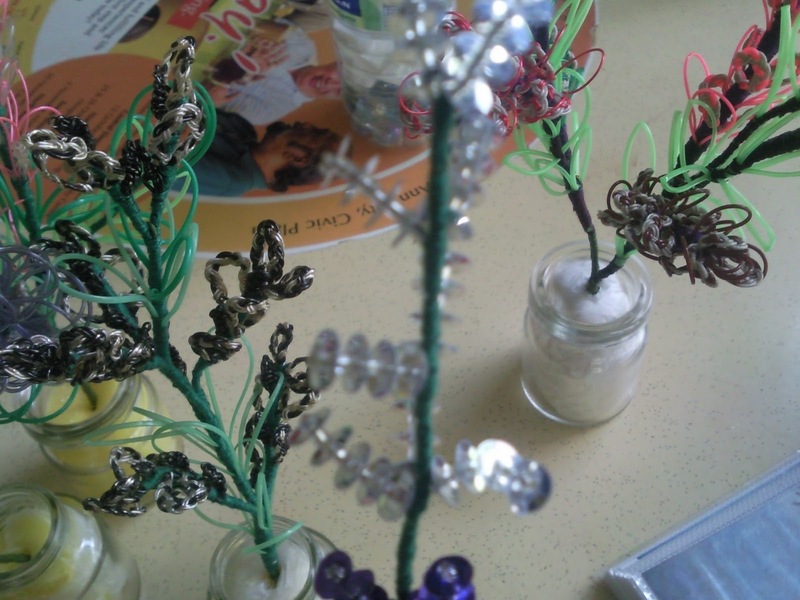 However Mdm Koh mentions that due to lack of supply of tough strings from a shop in Arab Street, she may not be able to make more of such handicrafts. Nowadys she keeps the better and bigger flowers at home which are not for sale and makes only a few pcs per week for sale at Blk 496 coffeshop on Sunday mornings. Occcasionally, you can find Mdm Koh nearby coffeshops, she is out only on Saturdays and Sundays. 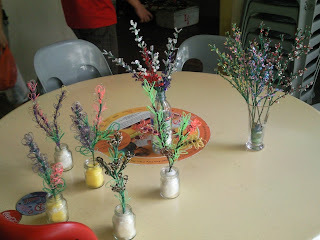 Her average selling prices of the flowers strats from S$7 to S$10 / pc!